Today I picked up a used Roland GP-8 and Roland GP-16 guitar effects processor for a total of a hundred bucks over at the music second hand shop. They were just brought in today and were in excellent condition. The GP-8 was in very good condition considering the age of the unit. The Roland GP-16 was in mint condition which was very surprising. I didn’t get any manuals or foot controllers, but I do already have an FC100 so that should work fine. The GP-8 is mostly an Analog Effects Processor with basically 8 Boss stomp boxes in one unit. The Roland GP-8 Guitar Effects Processor is one of the earliest (1987) multi-effect racks with 8 effect blocks that included Dynamic Filter, Compressor, Over Drive, Distortion, Phaser, Equalizer, Digital Delay and Digital Chorus. The digital delay and chorus are both 12-bit. There is a slight bit of noise with this unit but nothing that a Noise Suppressor can’t take care of. There also is no reverb, but I can always get that out of the GP-16 or somewhere else. The GP-16 is a Digital Effects Processor that contains a Compressor, Distortion, Overdrive, Picking Filter, Step Phaser, Parametric Equalizer, Noise Suppressor, Short Delay, Chorus, Flanger, Pitch Shifter, Space-D, Auto Panpot, Tap Delay, Reverb, and Lineout Filter respectively. 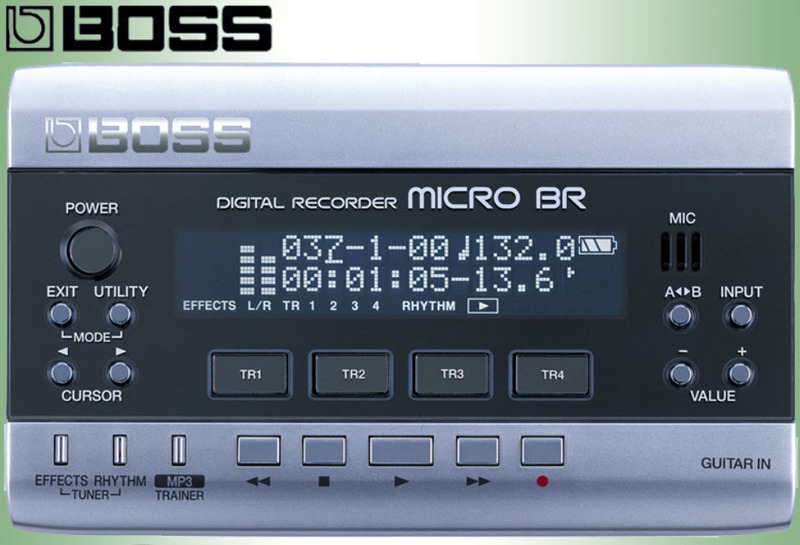 I heard a rumor that the Space-D is the same as the Boss DC-2 although that I believe was analog and not digital. So that’s probably the only difference between the DC-2 and GP-16 Space-D. The Parametric Equalizer, Chorus, and Flanger are really good on the Roland GP-16 as well. I already have the Boss GT10 and GT8 pedal boards. I didn’t need the Roland GP-8 or GP-16, but for $100 together, I couldn’t pass them up. I’m really glad I bought them. Of all my pedal boards now, I think I like the Roland GP-8 Distortion the best. It really reminded me of the boss distortion pedals in my room when I was a kid in the 80’s. It’s really fantastic in my opinion. The Dynamic Filter, Compressor, and Phaser are also really good. With the Roland GP-16 (1990), I particularly liked the Dimension Space-D, Chorus, Flanger, and Phaser effects. Just about all of the modulation effects are fantastic. The distortion is not as good at the GP-8 to my ears but still usable. The GP-8 sounds fatter and more full, while the GP-16 is a bit thinner, BUT, not as thin as my Boss GT-10 when I first plugged that in. The GT-10 I thought was really really tinny and had a lot of fizz. The GP-8 had no fizz at all in the distortion department and the GP-16 almost nil as well, but it did have something a little fizzy which I can’t quite put my finger on but not so bothersome as with the Boss GT-10. Overall, I am pleasantly surprised by both the Roland GP-8 and GP-16. I didn’t expect to use them much for guitar, but rather for my older synths and keyboards. However, I think I’ll be taking the GP-8 for it’s wicked distortion the next time I’m out playing. I think the GP-16 should sound great with my keys and even my guitar synth. It’s pretty cool too. I should also note that both the Roland GP-8 and GP-16 worked perfectly with Midi Quest Sound Librarian and editor. I tested them both today and I was able to transfer all Patch banks for editing. So effectively, I can now edit patches on the computer very easily for both processors. I also have the older Emagic Sound Diver for PC and noticed there is an instrument file for the Roland GP-8. I’ll have to try and see if that works, but for now Midi Quest is good. Both the GP-8 and GP-16 came with the original patches as well, so I didn’t have to go looking for them. Manuals were found on the UK Roland FTP site. 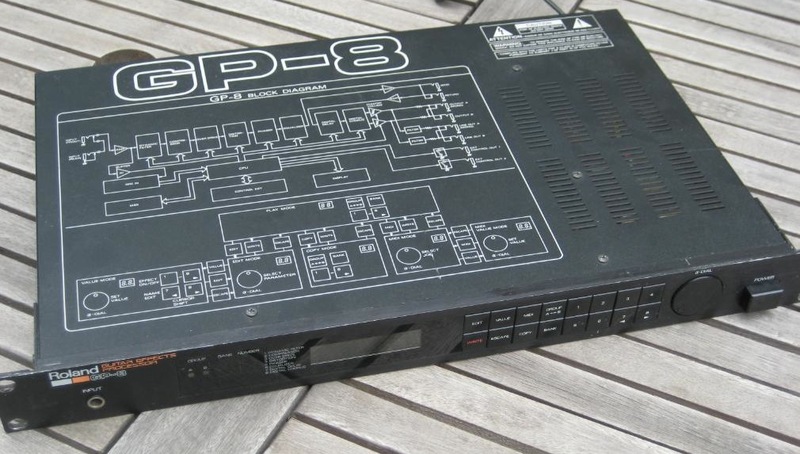 I STRONGLY recommend the Roland GP-8 for a great all around and cheap effects processor if you can find one in good condition. I would also recommend the Roland GP-16 but only after you get the GP-8. I also think both make great effects processor for synths too. If anyone can confirm that the Boss DC-2 is indeed inside the Roland GP-16, please comment. I’d love to know if this is true as I’ve never heard a real DC-2 to compare. The Roland GP-16 Space-D sounds sweet though. 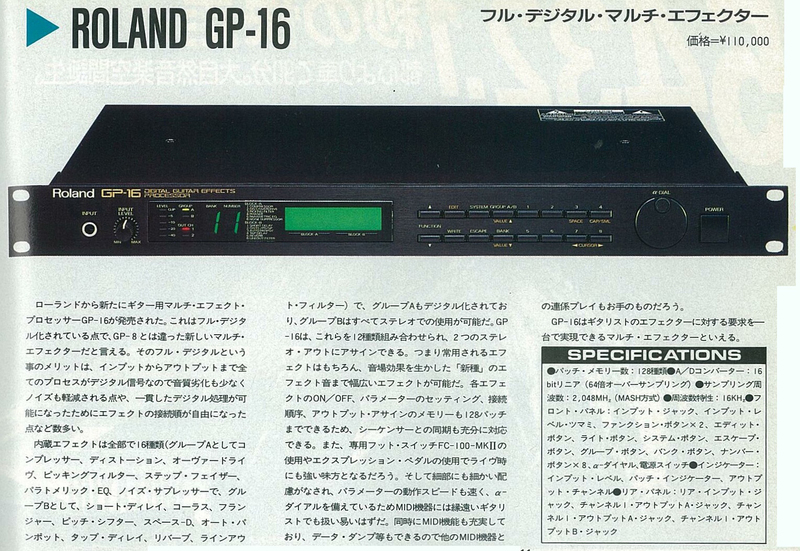 In conclusion, the Roland GP-8 and GP-16 are still very good effects processors despite their age. The Roland GP-16 has some very unique patches and effect combos in it which I can understand bring some people back to them. The Roland GP-8 is just warm and friendly. I love it!